Torrevieja is an obvious choice for holiday and retirement homes and is named by the World Health Organisation as one of the healthiest climates in the world. 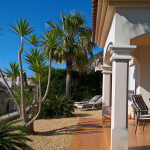 If you’re looking to buy property in Torrevieja, now is the right time! 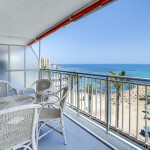 Property in Torrevieja and the Costa Blanca generally, is often a lot more affordable than other parts of southern Spain, the Costa del Sol particularly. The area around Torrevieja is less developed and less spoiled than many parts of Spain, with golden beaches and beautiful countryside. Property in Torrevieja for Sale – Affordable Spain Living. Torrevieja is situated 50km south west of Alicante is a bustling and lively town with something for everyone. It boasts a superb promenade with many bars and restaurants serving international cuisine. Behind the promenade the town center is full of shops boutiques and supermarkets. There are dozens of fabulous beaches which are close to the residential areas so your never far away from the sea. The whole area has grown massively around the property business and we can offer you an excellent choice of properties. 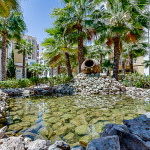 A typically Spanish town, Torrevieja is popular with tourists and ex-pats from all over Europe. 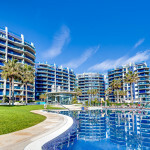 The laid-back lifestyle and superb climate make Torrevieja a fantastic place for those looking to retire, or those looking for rental opportunities, taking advantage of the increasing holiday-maker market. 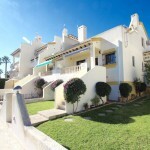 Property in Torrevieja for Sale – Unspoiled Spanish Beaches. Like many parts of southern Spain, Torrevieja has a bustling tourist industry. Many investors spend the winter months in the comparative warmth of Spain, while renting their property during the super-busy summer months. If you are thinking about buying property to rent in Torrevieja, we can help with advice and pointers to how to rent your property and maximise your investment. Get it right, and your property will almost pay for itself! Experience a true taste of Spain in Torrevieja – and earn from it, too!